Ernest Hemingway's 1952 novella, The Old Man and the Sea, is my first voluntary exposure to his work (high school literature class doesn't count). The protagonist Santiago fights against the rigors of the sea to bring back, ultimately, nothing...except the experience and the suffering. It provides a meaningful reflection on life's struggle and has piqued my interest to explore more of Hemingway's work in the coming year. "I may not be as strong as I think," the old man said. "But I know many tricks and I have resolution." On the coast of Cuba, Santiago is a man of resolve who discovers in his voyage on the Gulf Stream that the prized marlin was indeed too good to be true. In his desperation to make a catch, he traveled too far out to sea and was unable to transport the great fish back to the harbor. Too large for the skiff, the conquered fish is tied to the side to be pulled back to land. What would have made Santiago a small fortune and ended his "salao" (bad luck) was stolen from him in bite-sized increments from the sharks he encounters on the way back to the harbor. The story finishes with what has become an apt summary of the theme of the book. That afternoon there was a party of tourists at the Terrace and looking down in the water saw a great long white spine with a huge tail at the end that lifted and swung with the tide while the east wind blew a heavy steady sea outside the entrance to the harbour. "What's that?" she asked a waiter and pointed to the long backbone of the great fish that was now just garbage waiting to go out with the tide. "Tiburon," the waiter said. "Eshark." He was meaning to explain what had happened. "I didn't know sharks had such handsome, beautiful fully formed tails." "I didn't either," her male companion said. The strong irony of this ending is that of the unknown story, the misinformation, the incorrect assumption. In ignorance the tourists appreciate, while inadvertently complimenting the thieving sharks, the beauty of what could have been, what would have sold, what would have been remembered. They go on with their lives not knowing anything of Santiago's determination and grit, as it didn't amount to anything tangible. Regretting a lack of preparation and his solitude without Manolin with him, Santiago admits to his being beaten by the sharks. He conquered what was the main aim; the prized fish, the great marlin, but the Achille's heel of the journey was the journey home. The Old Man and the Sea is, in some ways, the antitheses to the concept of the "deus ex machina" in a plot. I first heard this used when a close friend was discussing the ending of the Lord of the Rings: The Return of the King. The one ring has been destroyed, Mordor has fallen, but Frodo and Sam are left with no energy for the return journey. The magical eagles come and fly the characters back to their homeland where the plot resolves and the series ends. Deus ex machina delivers the protagonist from peril in a supernatural or unexpected way that is most often a surprise that is inconsistent with the plot. Conversely to this concept, Santiago finds himself successful in his capture of the great fish but unable to transport his catch, the plot ends with a realism and the reader is left with empathy for his situation. 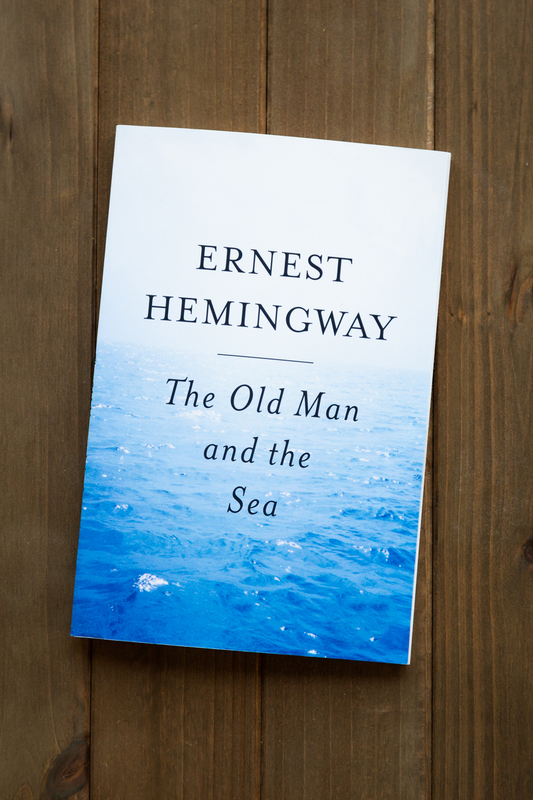 Punchy and realistic, The Old Man and the Sea acquaints the reader with a portrait of courage and determination in the face of the unknown.